Was this the year that New Jersey, and particularly Atlantic City, turned it around, or did saturating the market with more ways to roll the dice than you can in any other state spread the gambling dollars too thin? The answer, as our visual aids will show us, is a little bit of both. 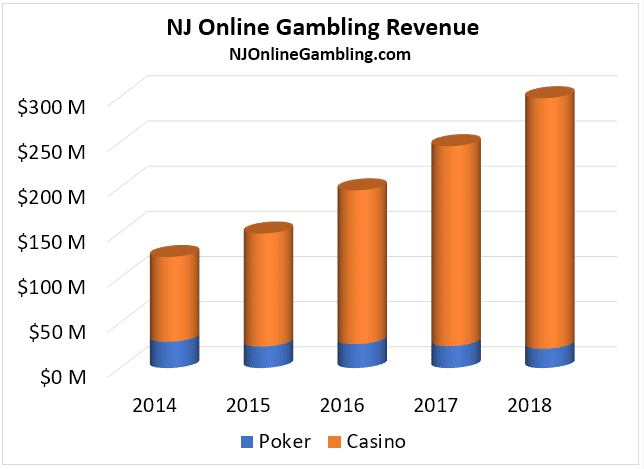 With all the hoopla surrounding the explosion of sports betting in New Jersey, little media attention was given to traditional online gambling forms, which have existed in New Jersey since 2013. Yet, online casinos quietly had their best year since going live, remarkably failing to find a revenue ceiling in their fifth full year of operation. In fact, their growth was more explosive than in any year prior, with revenue ballooning $56 million to $277.3 million for the year. Online poker, on the other hand, well, let’s just say that the numbers don’t exactly contradict the rumors of poker’s demise. Despite 888-branded sites entering into a liquidity sharing pact with Nevada and Delaware, revenue faltered, falling from $24.3 million to $21.4 million, the lowest total ever for the format. 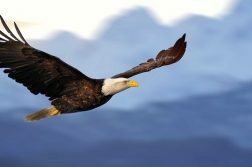 Unfortunately, the outlook for 2019 isn’t any rosier, as a recent reinterpretation of the Wire Act by the Department of Justice threatens to unfold the liquidity pact, and also has Pennsylvania (which is on the cusp of rolling out its own online poker scene) feeling extra cautious about linking up with New Jersey. On a per operator level, only Tropicana saw its year-on-year revenue decline marginally. Borgata, Caesars, and Resorts all saw modest upticks. But the real story here is Golden Nugget, which experienced a more than 50% increase over its already impressive 2017 total. The final figure for the license, which consists of Golden Nugget Casino, Betfair Casino, and Play SugarHouse: $104.8 million. Newcomers Hard Rock Casino and Ocean Casino (which could soon be an outgoer) made a dent in the market, posting revenue of $5.1 million and $2.8 million, respectively, in partial years of operation. The rest of the growth ($48.1 million) was strictly additive. 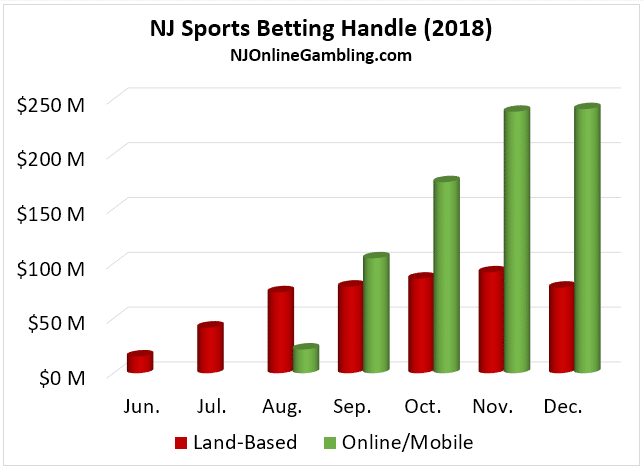 Sports betting handle has also been on an upward trajectory since launching in mid-June, when the first wagers were taken at Monmouth Park and the Borgata. This is not exactly a shocking result; neither is the fact that land-based handle has already sort of leveled out, while online wagering continues to soar. In 2018, online sports handle accounted for 62.6% of industry handle, swelling each month from just 22.7% in August to 75.5% in December. We fully expect this trend to continue in 2019, as New Jersey is quickly running out of places to open land-based books (Freehold, we’re looking at you), but has plenty more online and mobile skins to unleash. This, combined with increased awareness of legal online sports betting, should see online handle comprise 80% or more of the betting pie. Speaking of overwhelming dominance, that’s exactly how one might describe the efforts of booking newbies DraftKings and FanDuel. Our estimates show that the duo’s retail and online sportsbooks accounted for a 64% share of the market, rolling over European powerhouses like William Hill and big-time Atlantic City brands like the Borgata. 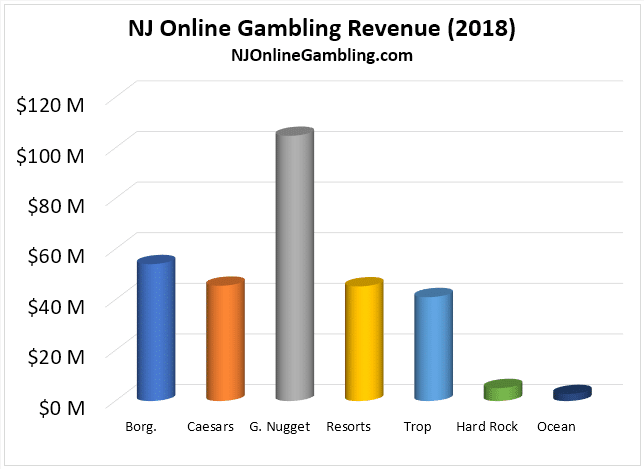 In terms of revenue, New Jersey sports betting took in $94.2 million, most of it from online. 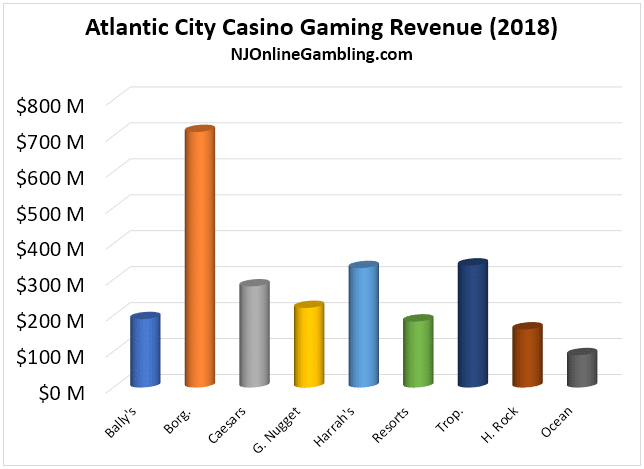 Midway through 2018, Atlantic City expanded from seven to nine casinos, thanks to the opening of Hard Rock Casino (formerly Trump Taj Mahal) and Ocean Resort Casino (formerly Revel). 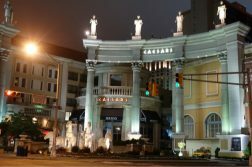 Some industry analysts feared that by launching two new casinos, the city would fall into the same saturation trap that plagued it in the earlier part of the decade, ultimately resulting in the closure of five casinos. Well, so far, it looks that they were right. 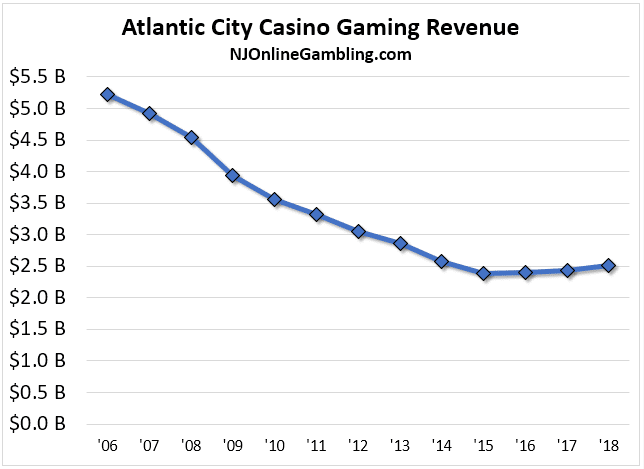 Yes, total Atlantic City revenue was up a smidge in 2018, continuing a three-year trend of modest growth after a tumultuous backslide from 2006 to 2014 that saw gaming revenue effectively halved. However, all new revenue (and then some) came at the expense of existing properties. As for the new properties, Hard Rock Casino thrived, pulling in $161.6 million in revenue in just a half year. Ocean Resort, on the other hand, didn’t make waves, putting forth a Revel-esque type showing with just $90 million in revenue, despite basically being open as long as Hard Rock. Ocean is already on the chopping block, with ownership expected to change hands from Bruce Deifik to a yet identified owner in relatively short order. It was open for a whole six months before this information came to light; talk about biting off more than you can chew. 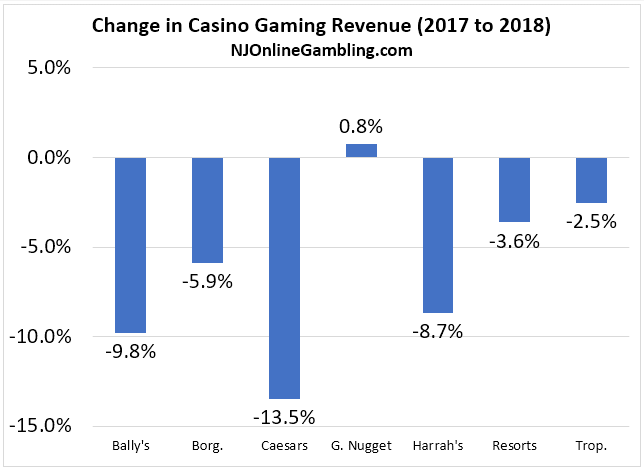 There’s little denying that 2018 was an exciting year for the New Jersey gambling scene, both on the operator and player sides of the fence. But in reality, the industry spent a lot of effort and launched a ton of new options to climb from just under $2.7 billion in 2017 to $2.9 billion in 2018. 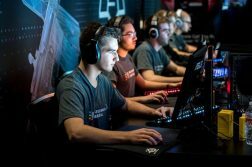 Online casino and mobile sports betting appear to be the two avenues with the most growth potential heading into 2019, despite the former being something of a mature industry. As for the land-based options, well, the FanDuel-branded sportsbook at The Meadowlands will probably thrive, but gamblers still aren’t digging those land-based destinations in Atlantic City, and we don’t foresee too much additional foot traffic in 2019. An effort to rebrand the city as a tourist destination, as opposed to just a place to gamble, may help matters somewhat, but “Vegas of the East” is a title that will continue to elude Atlantic City until something more than opening new casinos happens.